This was definitely my favorite Lucky Stars block. You might remember that I wasn't a huge fan of my November block and I have decided to give it another try so I will wait to post a photo of all of the blocks together. 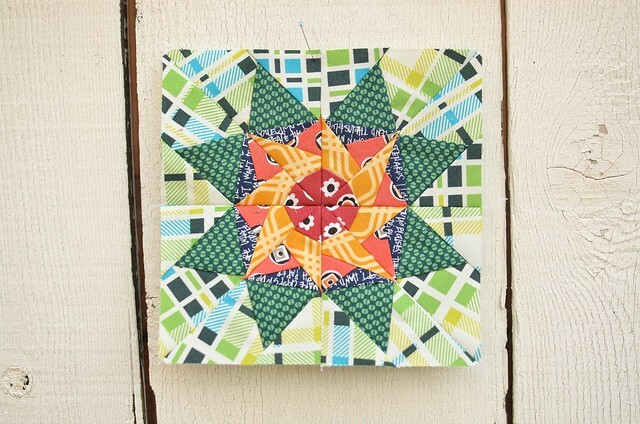 I loved participating in this block of the month this year and I would definitely recommend participating next year if you are looking to learn a little more about paper piecing or if you just want a fun project. I debated participating again next year, but I have decided to try something else. I am going to be working on a Farmer's Wife quilt which is currently at the top of my quilting bucket list. If anyone wants to (very informally) quilt along with me I would love that! There are 111 blocks so I will be making 10 blocks per month and then finishing the quilt top in December. 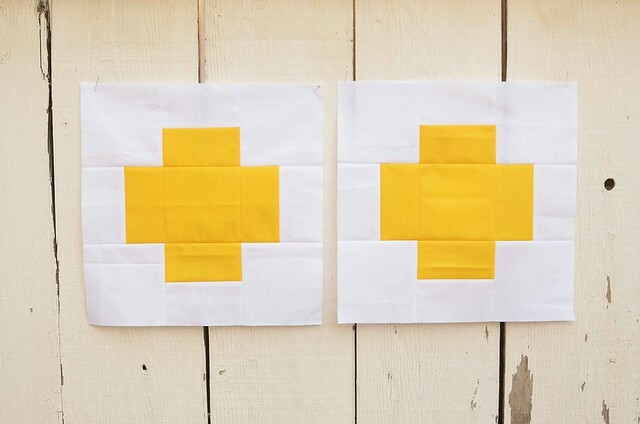 This is Caitlin's month in the Wish Circle this month and she chose a cross block with a yellow cross and white background using this tutorial. Caitlin always chooses such striking quilt designs, I can't wait to see how this one turns out! Speaking of do. Good Stitches, Rachel has opened up the pools for everyone to post their finished DGS for the year. Go check out all of the beautiful quilts that have been made and donated this year! Very cool, love this one Erica! what a fantastic star block, Erica. Your fabrics make is so interesting. Love the cross block too. They will make an amazing quilt. I've been on an orange and green kick lately, and I absolutely adore your fabric choices. Great job!! I like your fabric choices for December's star. I made a few of the farmer's wife blocks a while ago but then stopped - maybe I should join you. Your yellow crosses look great! I'm excited for this quilt!